Shigure transforms into the dog of the Chinese Zodiac whenever he is hugged by the opposite gender or his body comes under a great deal of stress. 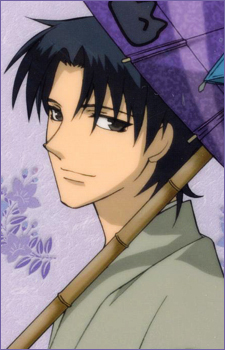 Shigure is one of the oldest members of the Sohma family. He is laid-back and anything but solemn. He is somewhat of a pervert, and as a writer of both romance novels and academic books. Occasionally, Shigure shows that he has another side to himself. He can be surprisingly mature, thoughtful, and gives rather sage and insightful advice to Tooru, Kyo, Yuki, and other characters, acting like an actual "adult."